The 2019 Legends College Showcase has partnered with Trace Soccer for video and player performance. Trace films using an automated camera from an elevated height to provide the optimal view for players, coaches and recruiters. 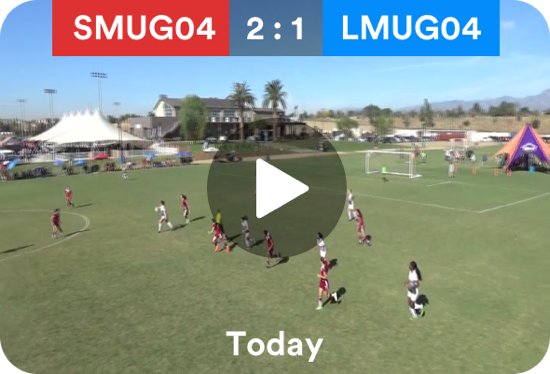 In addition to game film, teams will receive Automated Player Moments and Individual Player Stats which can easily be shared with friends and family. Trace is a Subscription Based Model, so all Trace equipment will be shipped directly to your home prior to the event. Once you've uploaded all of your footage after the event, you can easily upgrade your package to a Choice or Elite Subscription! Game Film Packages must be pre-booked and all bookings will close on May 24th. Click here to see all of the Trace packages being offered at the Legends College Showcase. If you wish to have Trace film your games, please book online. Email q@traceup.com or call (888) 568-3264.